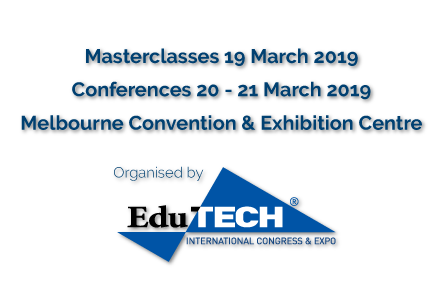 National FutureSchools Expo Masterclasses held on 19th March 2019 puts you in the classroom with the world’s foremost education and school management thought leaders. Take your skills to the next level with these hands-on, deep dive workshops that explore topics and teaching techniques that are revolutionising education delivery and school administration practices. With 7 masterclass topics to choose from, your team can master everything from STEAM activation and teaching, best leadership practice, the ins and outs of school wide transformation and how to encourage sustainable and empowering learning habits. Numbers are strictly limited for the Masterclasses and sell-out every year, so book early to guarantee your spot!